I recently came across an old blog post by the wonderful blogger Marco Recorder who asked his readers to offer definitions of the term digital diplomacy. While I have been researching digital diplomacy for more than two years, I too often find myself confronted by the dilemma of how to best define this novel form of diplomacy. Enlightenment is man’s emergence from his self-imposed immaturity. Immaturity is the inability to use one’s own understanding without another’s guidance. This immaturity is self-imposed if its cause lies not in lack of understanding but in indecision and lack of courage to use one’s own mind without another’s guidance. Dare to know! 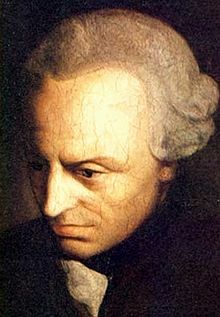 “Have the courage to use your own understanding,” is therefore the motto of the enlightenment. Of course enlightenment was not one thing or one man’s interpretation. It was a movement, it was an age, it was a state of mind and it was the culmination of many events which occurred in many places and which were fueled by the passion of many people. Enlightenment was also the result of numerous societal processes ranging from the invention of the printing press to the birth of the modern sovereign state and the Protestant reformation that dared challenge the church’s monopoly on human knowledge. It was even the result of the infatuation of one man, Henry the Eighth, with one woman, Anne Boleyn. As Charles Dickens stated when attempting to define another revolution, it was the best of times, it was the worst of times. Defining digital diplomacy may be just as hard as defining the term enlightenment given that the process of adapting diplomatic activities to the digital age has only recently begun. While the US State Department first formed its Taskforce on eDiplomacy more than a decade ago, most of its embassies and diplomats have been tweeting for little more than two years. Diplomatic institutions are often late adopters of technology and require long durations of time to adapt to new technological innovations. This may be attributed to the fact that they are large, bureaucratic and risk averse. It is therefore fair to assume that digital diplomacy is only in its infancy. In addition, like other forms of diplomacy, digital diplomacy is multi-faceted. On the one hand, it may serve as a tool for fostering two-way communication and dialogue between nations and foreign populations through social media tools. On the other hand, it may be used in nation branding activities as foreign ministries portray their national Selfie on Facebook and twitter. In addition, digital diplomacy may be used to establish virtual ties between nations that have no diplomatic relations as is the case with many enemy states that follow one another on twitter. When used in times of crises, digital diplomacy may enable nations to evacuate their citizens from a war torn area. When used in times of calm, digital diplomacy may be an innovative tool for peace building as governments communicate with citizens of enemy states through virtual embassies. Digital diplomacy is thus a tool for bi-lateral diplomacy, multi-lateral diplomacy, public diplomacy, nation branding, e-Gov services and much more. Finally, there is the question of the scope of the definition of digital diplomacy. Should we include Information and Communication Technologies (ICTs) such as instant messaging, e-mail, WhatsApp, the smartphone and the impacts these have had on the day to day work of diplomats in our definition ? The issue of how broad a definition should be was best articulated by Albert Einstein who said that “Not everything that can be counted counts and not everything that counts can be counted”. Those attempting to define digital diplomacy are therefore confronted by three challenges. First, how can one define that which still taking shape? Second, how can one define something that is as diverse as digital diplomacy? Third, how broad should this definition be? However we must tackle this daunting task as both MFAs and scholars are in need of such a definition. For diplomatic institutions, digital diplomacy must be defined so that it may be evaluated and its practice mastered. For scholars, such a definition is necessary in order to research its practice and understand the relationship between digital diplomacy and all other forms of diplomacy. The key to solving these problems may lie in focusing on that which is most central, or unique, about digital diplomacy. This is a) the adoption of web 2.0 applications (such as social media) which enables a transition from monologic communication to dialogic communication b) the growing use of ICTs by diplomats and diplomatic institutions ranging from email to the smartphone and its many applications and c) the migration of foreign ministries to the online world as part of the evolution of e-Gov. Digital diplomacy refers to the migration of diplomatic institutions and diplomats to the online world through the adoption of web 2.0 applications and ICTs. Posted in Uncategorized and tagged Digital Diplomacy, diplomacy, e-Gov, Facebook, ICTs, Smartphone, Social media, Twitter, web 2.0. Bookmark the permalink.